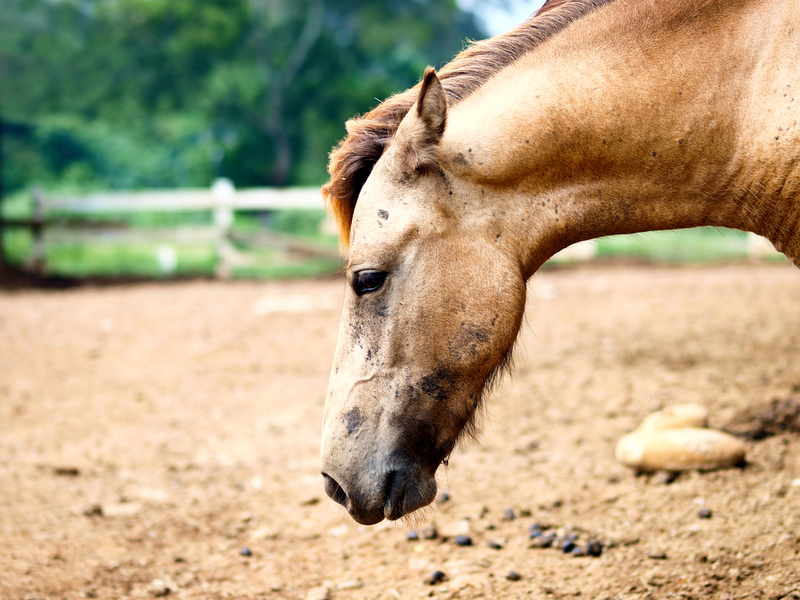 Despite the fact that colic is the number one medical cause of death in horses, it can be easy to assume, “it could never happen to my horse.” Colic is something that happens to other people’s horses, right? In reality, your horse may be at a greater risk for colic than you realize. The first step in preventing colic – as much as it can depend on us – is knowing the factors that increase a horse’s risk for colic. Here are some of the common care and management practices you may be using that studies have shown increase colic risk, in no particular order. There’s no shortage of published studies indicating that keeping horses in stalls and restricting turnout time in the pasture is a major risk factor for colic. Restricted movement and a tendency to drink less while stalled have negative effects on a horse’s gut motility, the surging action that moves food through the digestive tract. This can increase a horse’s risk for impactions. Multiple studies have shown that increased turnout time with access to plenty of fresh, clean water decreases the risk for colic. Also, a sudden change from pasture to stall, such as putting a horse on stall rest to recover from injury, significantly increases colic risk. 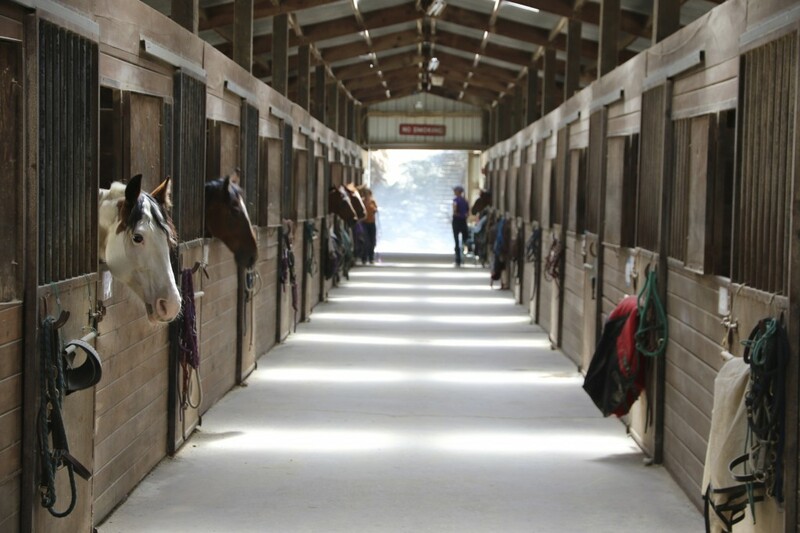 If your horse is kept in a stall for even part of the day, its risk for colic increases. Limited access to forage such as quality hay or pasture grass often goes hand-in-hand with keeping horses stalled for all or part of the day. Common time and resource constraints mean that many horses get fed twice a day and end up spending hours between meals with nothing to munch. horses have a tendency get hungry and bolt feed, sending undigested hard feeds into the hindgut. Limiting forage can lead to gastric ulcers, colonic ulcers, hindgut inflammation and general poor digestive health that also increases risk for colic. It’s not just overfeeding a horse grain that can lead to colic, it’s feeding grain-based feed, period. 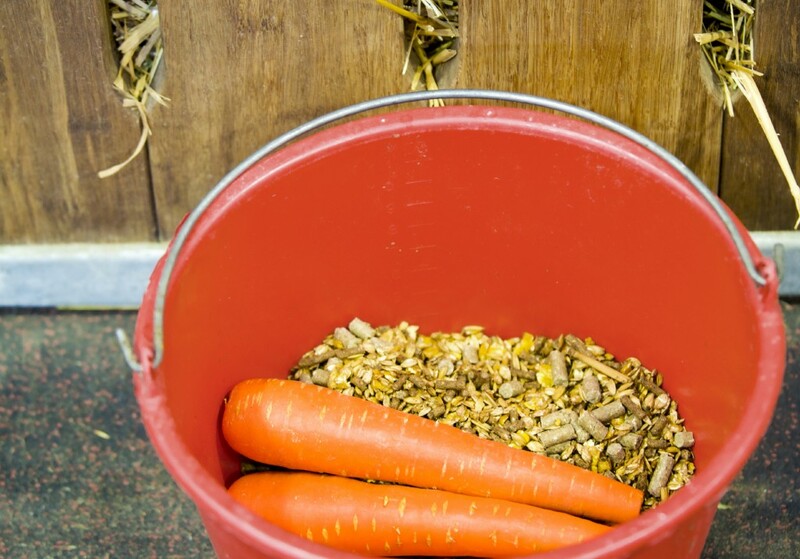 We give horses grains to meet their additional caloric and nutritional needs when they are in work; but the equine digestive tract is really designed for a forage-only diet. One grain meal of more than five pounds is typically more than the equine digestive tract can digest fully and appropriately in the stomach and small intestine. As a result, it gets through to the hindgut, which is not equipped to digest the large volume of simple carbohydrates and starch prevalent in grain-type feeds. This can upset the delicate microbial population of the hindgut and lead to digestive imbalance, acidosis, ulcers, and eventually even colic. Additionally, studies have shown that grain decreases water content and increases gas production in the colon, so any amount of grain in the diet can be a recipe for colic. And colic risk actually increases with the amount of grain fed per meal. Feeding grain-based feed can increase a horse’s risk for colic. The additional stress placed on a horse’s mind or body when ridden regularly, in active training, or when traveling is also known to increase the risk for colic. Researchers have not yet found a conclusive reason for why higher activity levels and traveling put horses at risk, but studies do show a clear link. One reason may be that these activities impact a horse’s normal eating and drinking patterns. Drinking or eating less during travel are definitely problems for equine digestive health. Also, vigorous exercise before and after eating can decrease gut motility, as blood flow redirects elsewhere to the muscles that are working hardest. 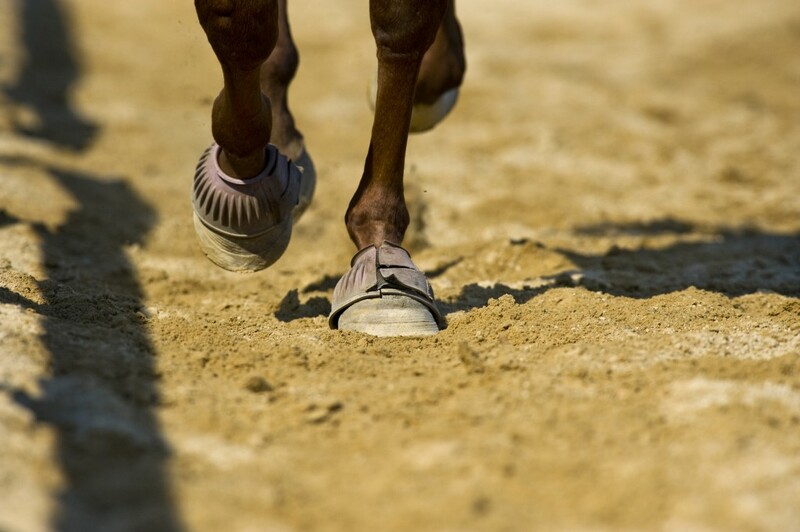 Higher activity levels as well as traveling are both known risk factors for colic in horses. The four risk factors described above are common elements of most feed and management routines that are bad for digestive health and increase a horse’s risk for colic. One alone will do the trick, two or more in conjunction raises the risk even more. These are among the most frequent, known causes of colic and can be extremely serious. Some can bring on severe colic very quickly, while others build up over time but are equally dangerous – even deadly. Finally, keep in mind that a small percentage of colics are related to cancers, enteroliths, gastric ruptures, enteritis and other such unavoidable conditions. Many, but not all, colics may be prevented with careful management. As a horse owner, manager, or care giver, it is critical to know what puts horses at risk for colic so you can take steps to eliminate or mitigate these factors – as much as avoiding colic depends on you.